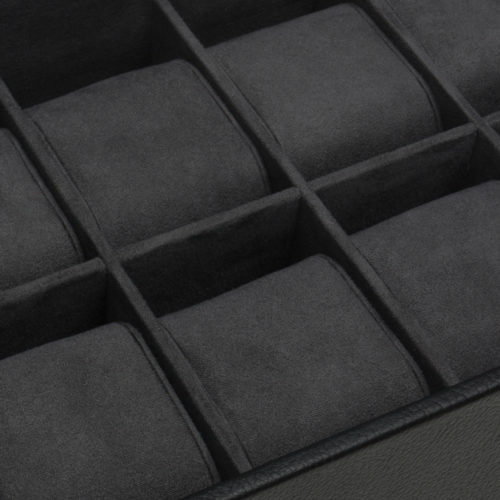 Stackable watch trays, the perfect collectors piece with the unique ability to stack as high as you want, in any of the colors. 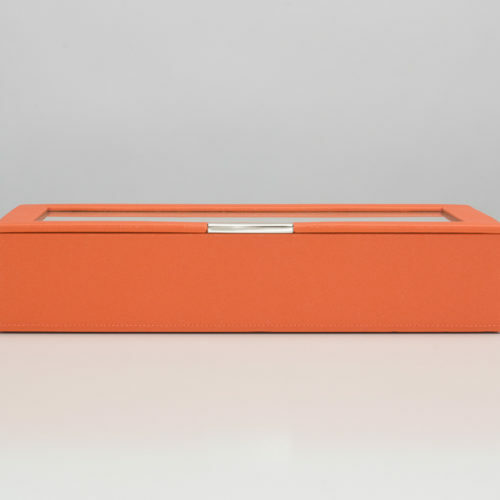 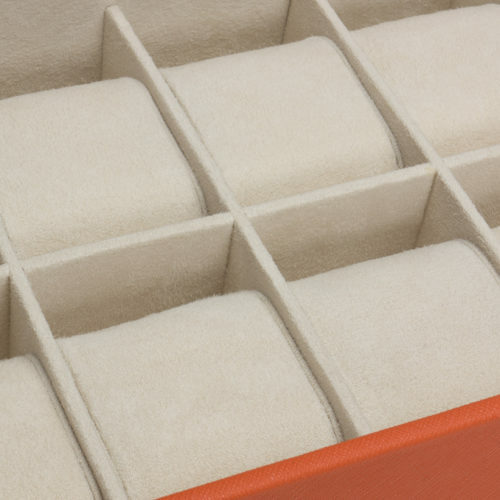 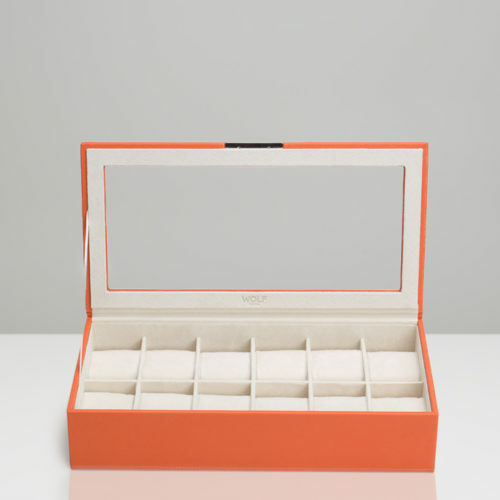 Includes 12 watch compartments, glass lid, orange Saffiano faux leather and cream ultrasuede lining. 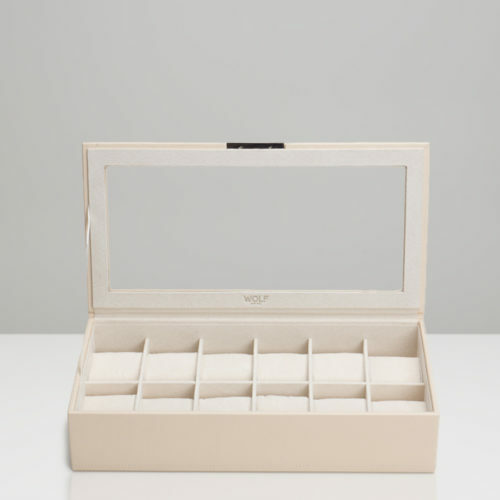 Includes 12 watch compartments, glass lid, cream Saffiano faux leather and cream ultrasuede lining. 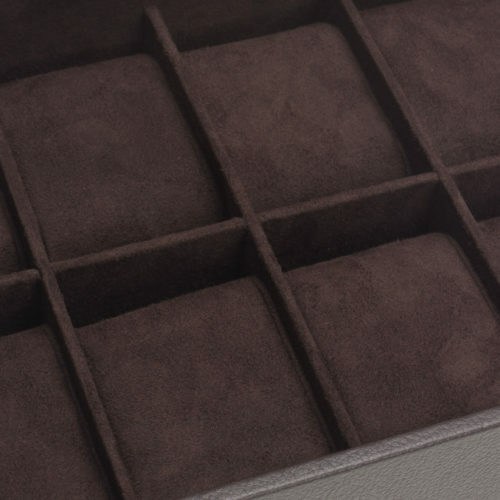 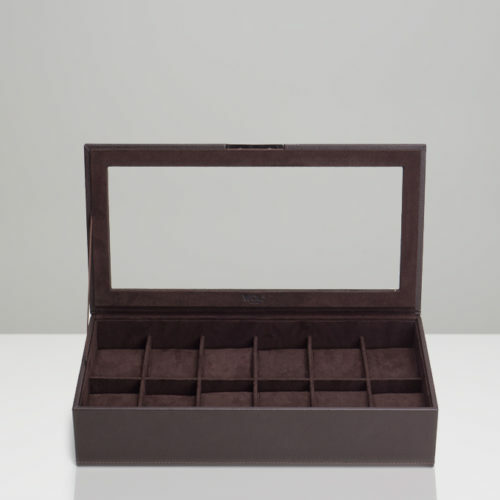 Includes 12 watch compartments, glass lid, brown Saffiano faux leather and cream ultrasuede lining. 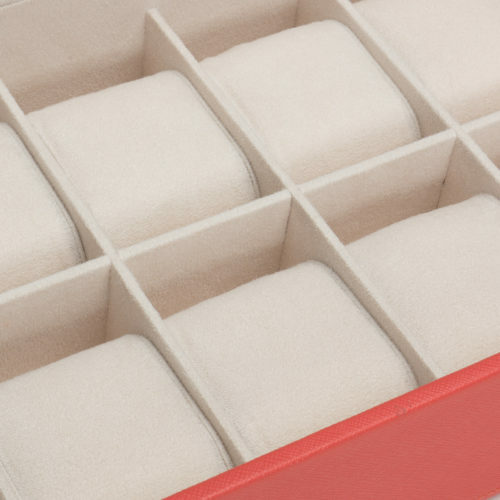 Includes 12 watch compartments, glass lid, coral Saffiano faux leather and cream ultrasuede lining. Includes 12 watch compartments, glass lid, blue Saffiano faux leather and cream ultrasuede lining. 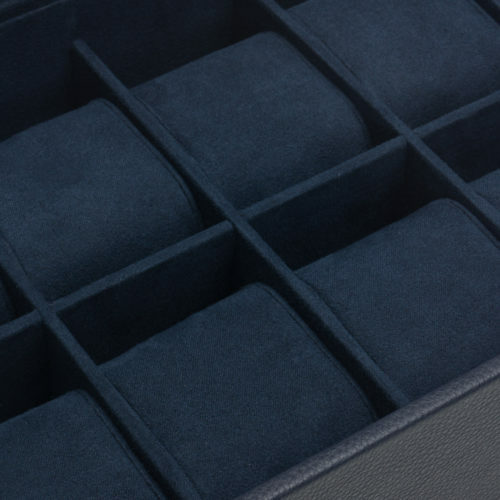 Includes 12 watch compartments, glass lid, black Saffiano faux leather and cream ultrasuede lining.